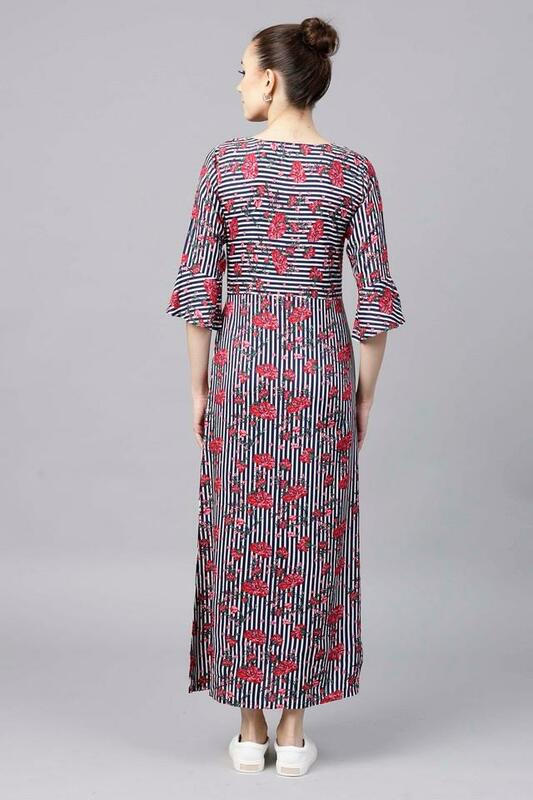 Inject some style into your wardrobe with this maxi dress from Gerua. It has been tailored with care using a viscose rayon fabric that makes it both comfortable to wear and easy to maintain. 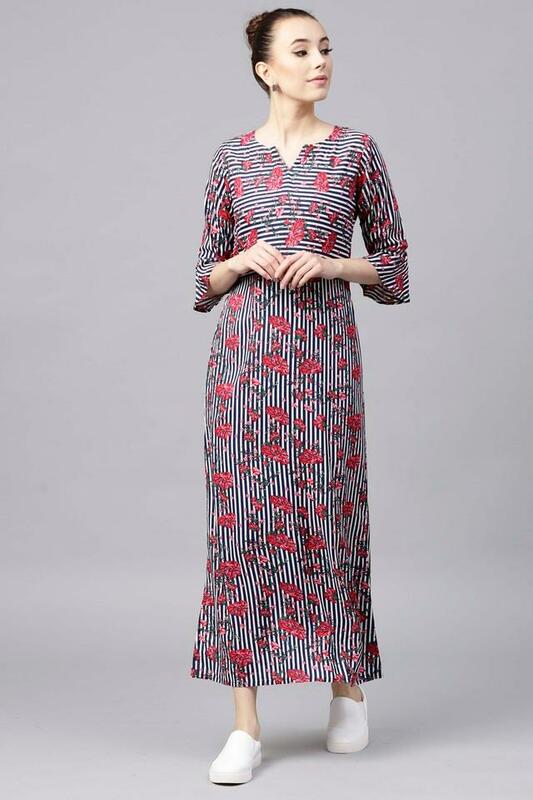 Besides, it comes with a floral print that accentuates its look, while the notched neck and bell sleeves complements its overall style. Fusing feminine shape with contemporary design, this maxi dress. Team this dress with a pair of sandals to look effortlessly stylish.